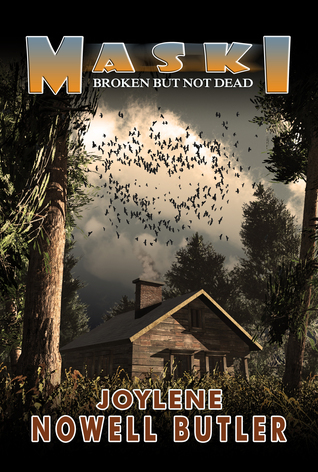 Author Joylene Nowell Butler won the IPPY Silver Medal with Broken But Not Dead. Once only available in print, the book receives a fresh new cover and title for readers to enjoy and is now available in eBook format. 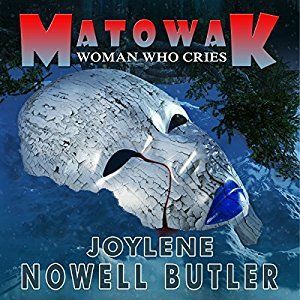 Maski: Broken But Not Dead is the prequel to Joylene’s 2016 release, Mâtowak: Woman Who Cries, which is now available in audio format. I've always believed I owe it to my readers (and myself) to write the best story I can possible write. It's the reason I don't pen a historical novel, or a S/F, or a romance, but instead write thrillers. I stick to what I know. What I know is research is an essential tool. Without research I risk leaving authenticity and integrity out of my story. In my suspense thriller Maski: Broken But Not Dead, my protagonist is Metis. I am Metis. She's an English professor. I majored in English at SFU. I've taught creative writing. I've interviewed English professors. In Matowak: Woman Who Cries, my protagonist, an indigenous man from the Haida Nation, is a sergeant in the RCMP. I am not, nor have I ever a member of the Royal Canadian Mounted Police. But—I've interviewed three: a family member, a neighbour, and a friend. I've interviewed a lawyer and a crown prosecutor. I've also studied the Criminal Code and the Canadian Charter of Rights and Freedoms. If you enjoy mystery/police/crime stories, then you already know what's required. You must recognize the basics of fiction writing, how to narrate, create suspense, heighten tension. But you also need to establish credibility. And if you do that, win the trust of your readers, you'll be blessed with sales, and readers who ask, "When's your next book release?" Does it bother you to read books out of order even if they are standalones and can be read that way? Joylene, great tips. When an author doesn't know the topic they are writing about or doesn't do extensive research it can make a huge difference in the quality of the story. Thanks for sharing Joylene's stories and for being a part of her tour. Thank you for hosting me today and featuring my work today. Have a great day.